Beth draws inspiration from the real world, nature, beauty and decay her teacher, her inspiration, her muse.Thus, the marker of her style since forever. She prefers the flawed, overlooked and quieter elements with a little bling thrown in. A shooting star. Teardrop-shaped turquoise bezel set in brass, on thick sterling silver band. Thick sterling silver link chain band connected to thin sterling silver band by 14 karat yellow gold chain. 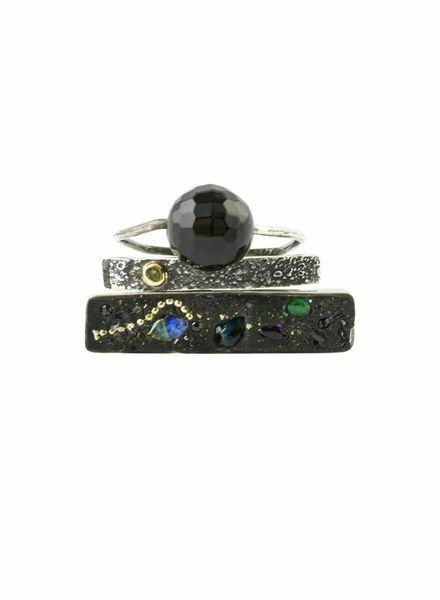 Hollow brass beads on adjustable sterling silver band. 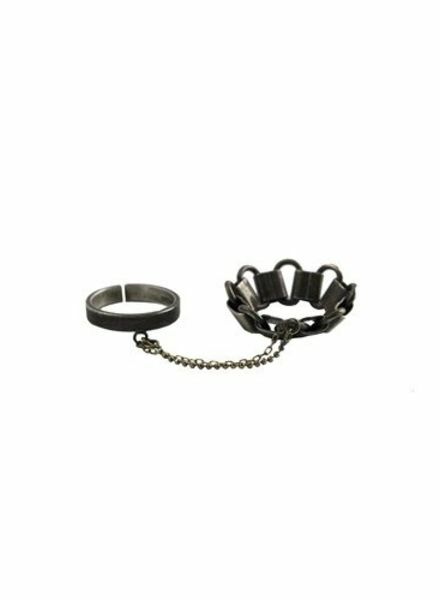 Architectural Brass ring with red coral piece. Labradorite and black clay on brass button hair stick with black clay inlay. 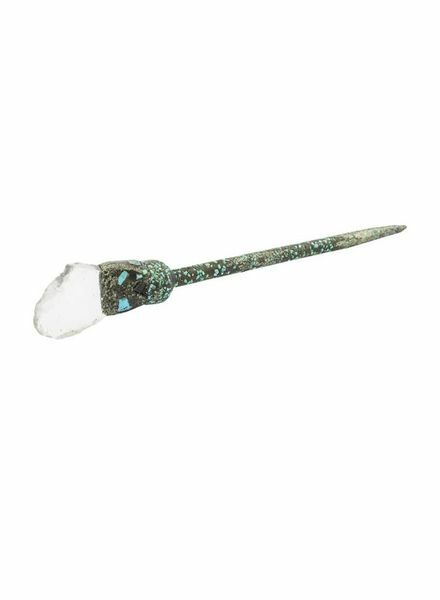 Raw crystal hair stick with mixed black and grey clay inlay with turquoise details throughout. 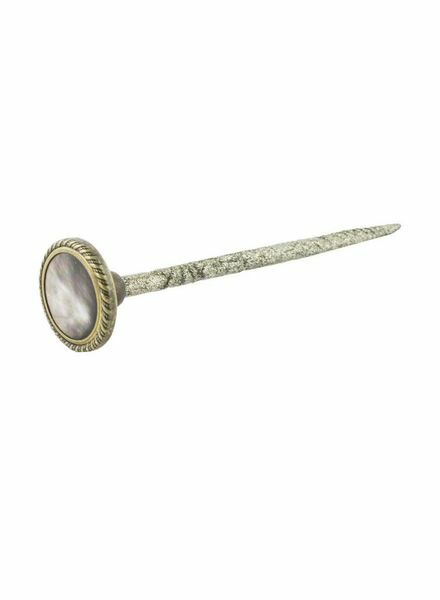 Mother of pearl on vintage brass button and wooden bead hair stick with grey clay inlay. Vintage black button hair stick with black clay inlay and black spinel details throughout. 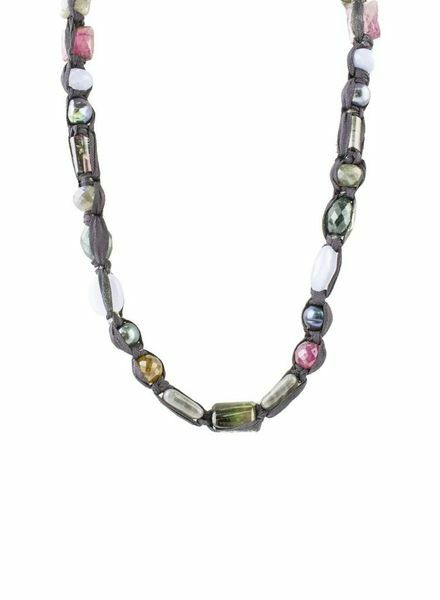 Mixed tourmaline, labradorite, chalcedony and dark pearls hand-knotted on grey ribbon with bead toggle closure. 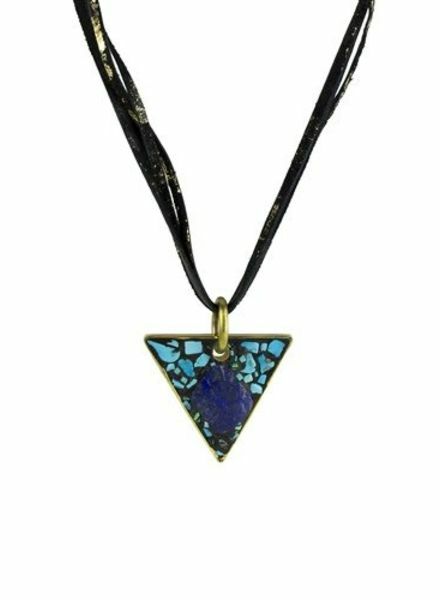 Triangular mosaic of black clay with a collage of Lapis, Sleeping Beauty Turquoise, and abalone shell, set in brass bezel on four gilded black leather strap with toggle closure. 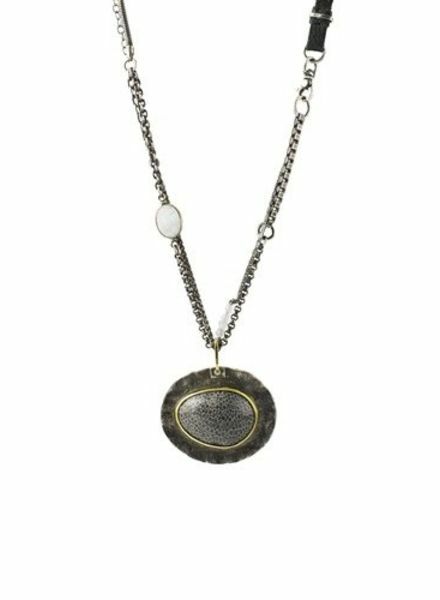 Large grey coral stone bezel set in brass on textured sterling silver disc, on multi sterling silver chain with moonstone, brown zircon, white jade, mother of pearl, and leather details. 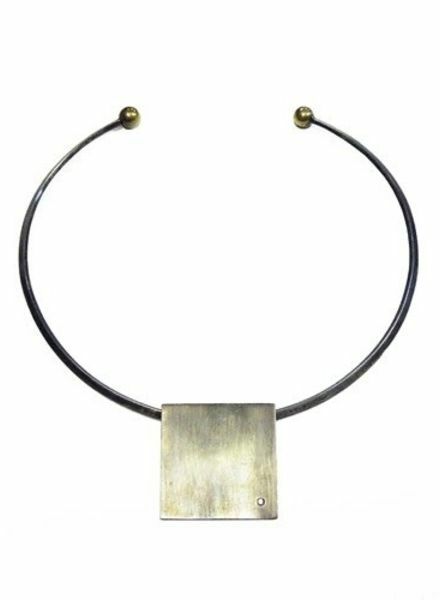 Half circle sterling silver necklace with diamond inset into square sterling silver pendant. 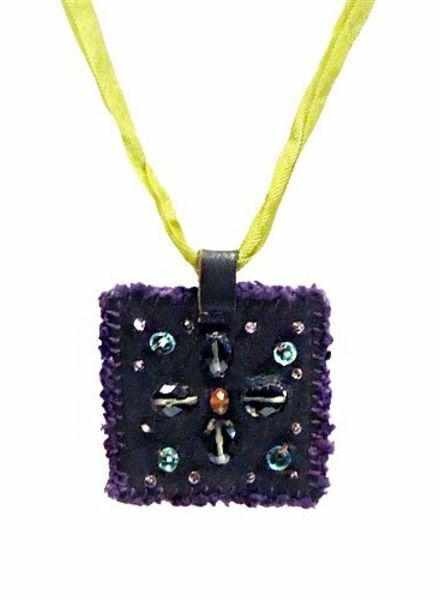 Leather square necklace with mixed stones.